Finland's greatest composer and a major figure in the development of Scandinavian music, Jean Sibelius (1865-1957) is admired for his complete mastery of symphonic form. Of the seven symphonies he composed, each differs greatly from the others, for Sibelius rarely approached the symphonic "problem" the same way. Each work seems committed to the thoughts, feelings, and logic of the movement. Sibelius's first two symphonies remain among his most accessible and popular. Of all his symphonic works, perhaps the First Symphony, composed in 1898-99, adheres most to classical form yet reflects the spirit of Nordic nationalism that came to be associated with the composer's music. 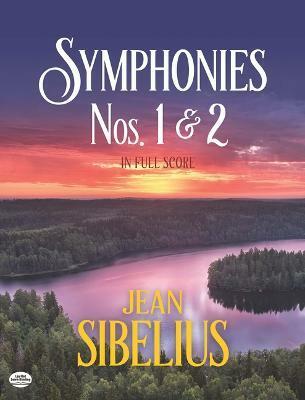 The Second Symphony, perhaps his most expansive and melodious work in symphonic form, demonstrates Sibelius's increasing command of orchestral form and scoring. These two major works are reprinted here from the definitive full-score editions published by Breitkopf & Härtel, Leipzig.